Today marks the launch of the first piece of story DLC for Middle-earth: Shadow of War, and alongside the paid content a handful of free updates bring enhancements for the Nemesis system, as well as new skins, photo mode improvements, and quite a bit more. Haven’t check it out yet? Have a look at our full Middle-earth: Shadow of War PC review. 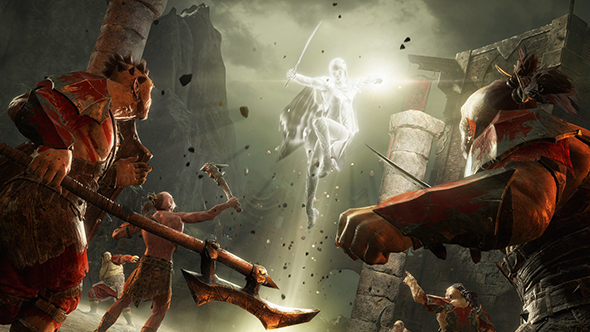 The story content casts you as the titular Blade of Galadriel, an elite assassin wielding dual blades with which to hunt the Nazgul for the elven queen. You’ll have new combat abilities and skills, a new set of Nemesis characters, and a selection of new Legendary Orcs that can return to join your forces in the main game. Blade of Galadriel is available as a standalone purchase for $14.99 / £11.99 / €14.99, as part of the story expansion pass for $24.99 / £19.99 / €24.99, or the full expansion pass for $39.99 / £32.99 / €39.99. Free updates are also hitting the game for all players today, including new traits for the Nemesis system. Orc captains might now burrow into the ground, snipe you from a great distance, or slam the earth to cause miniature quakes. Photo mode offers new filters and frames, and some new skins are available. You can also now upgrade your forces from the garrison, check out your accomplishments on a new player stats page, and adjust more UI and FOV options. A new patch on PC also promises stability fixes, performance improvements for machines running on multiple GPUs, and far more in the official patch notes. Shadow of War is still due for one more story expansion, which features a roguelike campaign in a new region.